A sweet book to celebrate the big and small moments of the second year of a child’s life—walking (more like running) everywhere, making plans, learning words—so many words. Toddlers become their own selves. Their hands learn to do so much and their little eyes see many new things and experiences, so many of them wonders. As in many of her books, Sara O’Leary knows how to speak to the hearts of parents and children alike with her delicate words. Her writing is sentimental, but with a light touch and never overwrought. The qualities of Karen Klassen’s textured illustrations—a mix of patterns, brush strokes and ink—almost resemble memories in our mind’s eye—the fleeting, moving pictures that parents see of what life has been like in the past two years of their babies’ lives, when they have a moment to stop and think. 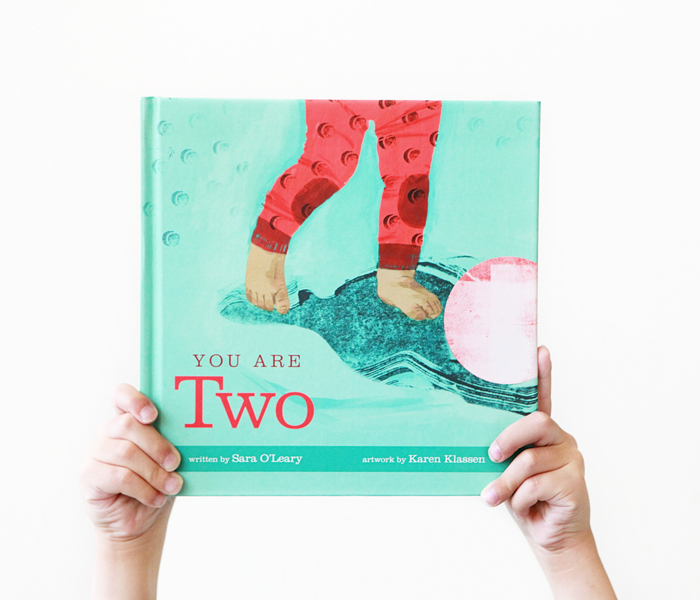 You Are Two is by Sara O’Leary, Karen Klassen and published by Owl Kids.